That’s Vivek Bedi’s favorite question to ask product managers in interviews. If PMs can’t explain their own background and interests well, they probably won’t be able to build a strong case for your product. 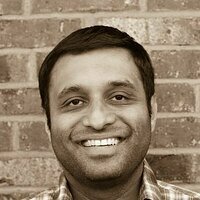 Vivek is a product guy with over 15 years of experience and knows a thing or two about building and selling great products. As the Head of Product at LearnVest, he manages financial planning products and client experience functions for Northwestern Mutual, which acquired LearnVest in 2015. He is also the founder of mySwapp, a mobile app that allows people to trade unwanted goods. Before joining the startup world, Vivek was a product leader at Goldman Sachs. “Telling great stories enables you to convince others to help you build a great product and convince people to buy that great product,” he says. He has used storytelling to make his pitches more engaging, keep his team motivated, and even turn harsh criticism into inspiring goals. Here are some of Vivek’s best storytelling tips for product managers. Vivek has worked on enough first-time user experiences to know that people are impatient. If users can’t figure out how to use a product within minutes, they will leave. “It’s important when crafting your story to focus heavily on the first few minutes. That is when most in the crowd will decide to stick with you or you will lose them,” says Vivek. Users: Thank users for downloading your app or signing up for your product. Build an onboarding experience around showing immediate value and welcoming users to the product. Clients and external audiences: Thank the audience for coming to hear you speak or inviting you to their office. “It makes it about them and not you. And that’s a great way to stroke the egos of the audience and set the tone of the story,” says Vivek. A good first impression makes your audience more receptive to hearing what you have to say—whether that’s an aha! moment in the product, a presentation about your product roadmap, or just a weekly status report to your team. When Vivek first joined LearnVest, his team was responsible for increasing repeat usageand engagement. The charter was to create a product experience that was much stickier. Vivek had first-hand experience with the product’s engagement issues. Vivek had purchased an insurance policy from Northwestern Mutual, but years had gone by since he really logged into his account and paid attention to it. Sharing criticism about your team’s work isn’t easy, especially when you’re the newest person in the room. Personal experiences can help soften the criticism and foster a more open and collaborative environment. Reframing areas of improvement as growth opportunities can also be a great tactic for inspiring your team. "Showing your product is much more of a compelling story then talking about it. And show it soon. Think back to Steve Jobs. He did a great job of getting to the demos soon into his presentations, sharing the product features and new Apple product releases, captivating his audience from the get go." "When you add visuals, product demos, or interactive experiences you are hitting on the second sense of sight as well. Sensory studies show if you take advantage of two or more senses when engaging you are automatically going to get more audience attention you would have otherwise gotten." It’s second-nature to adopt a formal tone of voice when discussing your work. Afterall, building a product can take months’ or years’ of hard work. You want people to take it seriously and appreciate its value. However, an overly serious tone can backfire and bore your audience. Vivek had to hone his pitches early on because his partners were traders, who “by nature, have an attention span similar to my 4-year-old. Time is money in their minds,” he says. "For instance, I recently gave a talk discussing how I am going through a 'product management identity crisis' and needed to go find my product self, even after 15 years in the industry...I incorporate some jabs at myself and bring in jokes from my personal life - stories about my kids, my wife." If you’re not comfortable sharing jokes from your own personal life, another easy way to do this is to poke fun at the product. “Showing that softer sider is a secret gem for storytelling that makes your audience feel more comfortable with you,” says Vivek. By making fun of the product, you can make your experiences more vulnerable and relatable, while also showing off progress. "As a product manager, you’re working with engineers, designers, and marketers to build a product. How are you going to convince them to help you and then communicate your vision for the product you want to build? You sure as heck better be good at telling a compelling story to get them onboard, motivated, and clear about the product you’re building." For product managers, storytelling isn’t just about whipping up a fantastic tale or putting on a good show. It’s also about understanding your users and teammates and championing their needs.